Fermi's Flight Operations Team monitors the health and safety of the Fermi spacecraft 24/7, 365 days a year. 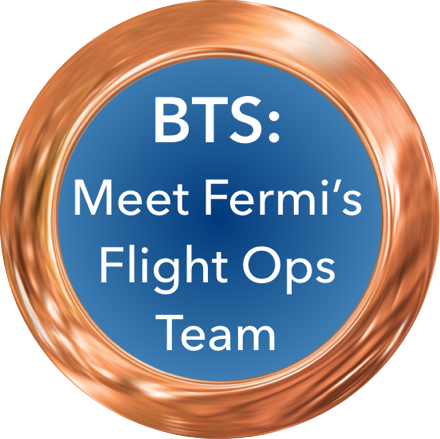 In its nearly 10 years on orbit, Fermi's FOT has helped keep the mission flying high. Let them tell you what it's like to run NASA's highest-energy mission. NASA Press Release about that event.